Trading on the market. Buyer is calculated with the seller. Buying food. Buying food at the shop. 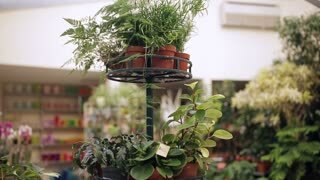 The buyer at the flower shop considers houseplants in pots. A woman wants to buy a flower in a pot.